← The Eulalona Kiosk is taking shape. 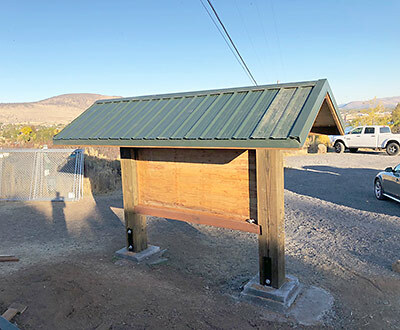 With the hard work of KTA volunteers and the City of Klamath Falls, the new kiosk at the Eulalona Trailhead has been completed. It is the same as the kiosk that was put up at the Spence TH along hwy 140. We are now going to the process of getting the display space populated with maps and other information.